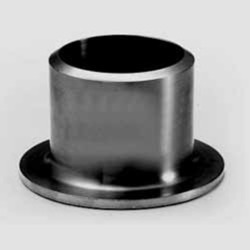 We are a trustyworthy organization offering a wide a gamut of Carbon Steel Stub End. We are offering Carbon Steel Stub End to our client. Grade: ASTM A234 WPB, WPBW, WPHY 42, WPHY 46, WPHY 52, WPHY 60, WPHY 65 & WPHY 70. Material: ASTM A234 WPB, WPBW, WPHY 42, WPHY 46, WPHY 52, WPHY 60, WPHY 65 & WPHY 70. Grade: WPB, WPC , ASTM / ASME A 860 WPHY 42, WPHY 46, WPHY 52, WPH 60, WPHY 65 WPHY 70. Dynamic Forge manufacture an impregnable range of Carbon Steel Stub End and we also export this product at industry in leading prices. - ASTM 4403 GR: WP 304/WP 304H/WP 3041/WP 316/WP 316H/WP 3161/WP 3161i/WP 321/ WP 321H/WP347. Wrought Austenitic to Stainless Steel fittings. Carbon steel ASTM / ASME A 53 GR. A B , ASTM A 106 GR. A , B C . API 5L GR. B , API 5L X 42 , X 46 , X 52 , X 60 , X 65 X 70 . Specification : MSS SP, KS B 1541, JIS B 2312, ASTM A 234 & ASME B 16.9.etc. Grade: WPB, WPC , ASTM / ASME A 860 WPHY 42, WPHY 46, WPHY 52, WPH 60, WPHY 65 & WPHY 70. We are dealing in Carbon Steel Long Stub End.